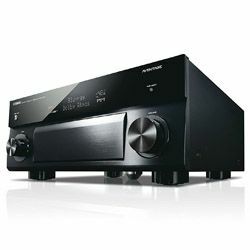 Denon AVRX2500 vs Yamaha RX-V685BL could be hardly contrasting taking into account their almost identical features – the same power and number of channels, the same set of connectivity interfaces and signal processing up to 4K. So, I’d like to compare the AVs to display some diversities. Yamaha RX-V685BL supports Dolby Atmos that works perfectly after you’ve calibrated it via YPAO and its included mic. It supports Apple AirPlay and the connectivity is completely stable. 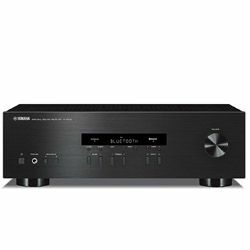 It has both 4K pass-through and upscaling versus Denon AVRX2500’s disability to upscale up to 4K. Yamaha RX-V685BL has plenty of modes for listening to music and watching movies. Both AVs have a pure direct mode that allows getting stereo sound with minimal processing. Yamaha RX-V685BL’s YPAO system permits to customize the full AV’s set of options. Besides, the setup is very straightforward. There is no need to finish the process of calibration manually. However, it is better to add some decibels to the front channels and even out the rear speakers via the settings menu. 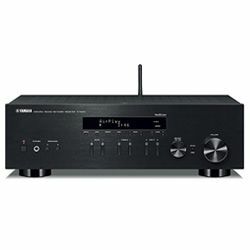 Denon AVRX2500 has Audyssey MultEQ XT and can be adapted to the room’s acoustic. The Yamaha RX-V685BL’s set of inputs is impressive – there are interfaces even for old video components in this AV. There is the automated sensor to configure speaker balance 5:1 easily. 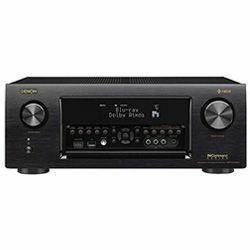 Yamaha RX-V685BL vs Denon AVRX2500 comparison in terms of design look like any mid-range units. 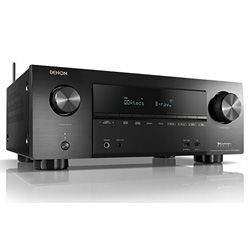 However, Denon AVRX2500 looks more solid mostly due to its large screen that is very convenient to perceive the information on it. It has buttons both for source selecting and volume control on the front panel versus Yamaha RX-V685BL’s the only volume button. Yamaha RX-V685BL’s remote is heavy and has a plethora of buttons without direct buttons for the input options. Denon AVRX2500’s remote has more clear and convenient remote. 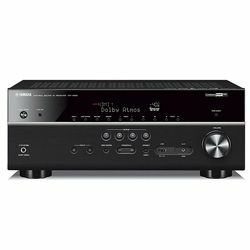 Despite Yamaha RX-V685BL’s a bit confusing remote’s menu, it works well with other devices. Increased power over its predecessor. The ability to produce the powerful sound in the large rooms with less efficient speakers. No three-zone capability that could help to make this unit more versatile. Supports the major streaming services. Does the auto balance even for the old speakers. Work with Alexa is disappointing – it requires MusicCast. Besides, there is a lack of MusicCast speakers’ control: you can change ports, inputs, and that’s all. No manual speaker setup without a TV screen for using it as a stereo amp only.